The CLASSY! 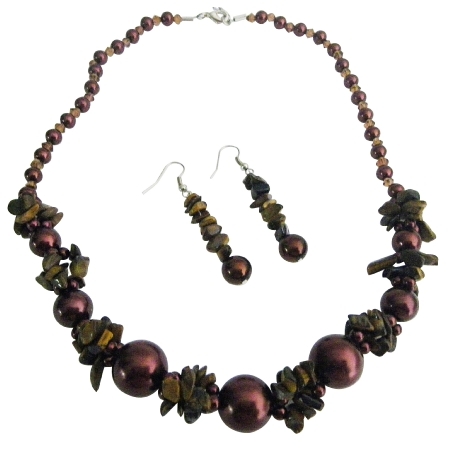 Burnt Brown Pearls with Brown Stone Nugget chips with accented in beautiful Necklace & Nickle Free french hook earrings Set is a DAZZLING Sophisticated gift for the young girls brides. Goes with all the outfits & wardrobes!! Lovers gift too! Adds all chic charms to your beauty with this Jewelry! !.All tiem wear FESTIVE & party on your Neck & earlobes all the time.